Nonprofit research organization SRI International has secured a potential $87.7M sole-source contract from the Defense Logistics Agency to provide generalized emulation of microcircuits for the U.S. armed forces. The indefinite-delivery, hybrid cost-plus-fixed-fee, firm-fixed-price contract has a base performance period of five years along with one six-month option, the Department of Defense said Friday. 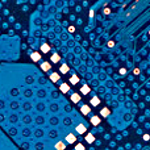 SRI uses modern technology in efforts to help the military replace obsolete microcircuits with form, fit, function and interface components as part of the Generalized Emulation of Microcircuits program. The nonprofit will perform contract work in New Jersey and California through Jan. 31, 2024.